Colour adds so much, it completly transforms the venue. LED Lighting - Especially for marques we can light it safely (no hot lamps for people to burn their fingers) And now we have PAR cans in white ready for up lighting. With subtle pinks, brilliant oranges, intense blues with six coloured LED we can mix the colour of your choice. Festoon Lighting - indoors or outside these add ambience. Party Lights - For the evening we have all the moving heads and effect lighting you will ever need. 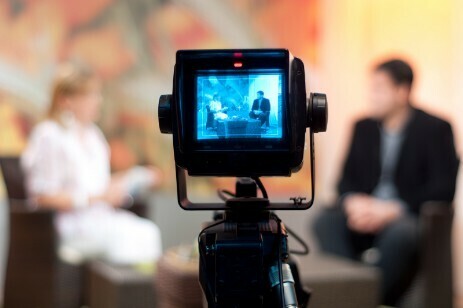 We can now broadcast your wedding service live via our fully licensed web site to mobile phones, iPads, Android Tablets, computers and smart TVs. So your family and friends anywhere in the world can now join in. Using the same technology we can reply to other buildings. Why have black when you can have white speakers! At the church or for speeches and back ground music at the reception. 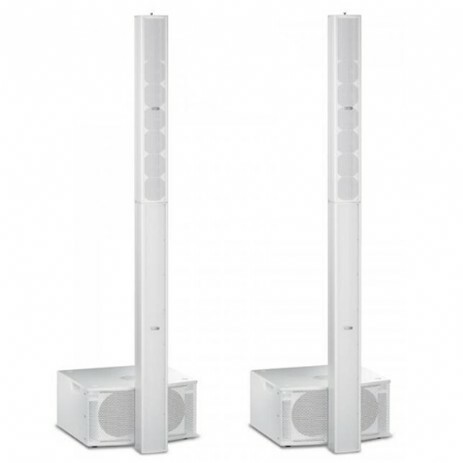 Now we have the new range white array speakers - high quality, high output but very discrete. Mirror Balls - Old fashioned but very effective and romantic. Fragrance Machines - These add the fragrances of the country or flowers (sadly many flowers today don’t have a strong scent) Recently the guests commented that the whole church smelled of flowers -no it was our African Nights fragrance! Stage - We can create a raised top table which is nice for large receptions. Confetti Blower - These give a much more controlled output of confetti. Standard colour, mirror and UV. See below. Confetti Cannons - confetti with attitude! Pyrotechnics - Add glitter and sparkle!